Eleven is the number of books that Jonathan Coe has written. Number 11 was published on the eleventh day of the eleventh month. The number appears so often that it comes as a shock when an address important to the plot is 15 and you feel a just a tiny bit let down. My favourite 11 is the information that that is the number of the bus route that circumnavigates Birmingham, a fact I shall treasure for ever. Number 11 is billed as a sequel to ‘What a Carve Up!’; if you read that and enjoyed it then rush out to your nearest book shop now. If you’ve never heard of Jonathan Coe or ‘What a Carve Up!’ don’t let that put you off, sequel it is but only very, very loosely. Once again we meet the robber baron Winshaw family, but everybody else is new and by the time the Winshaws raise their acquisitive heads you are already entwined in the heroes of Number 11. Reality television, basement extensions (11 storeys deep, naturally), publicity seeking policemen, vitriolic knee jerk newspaper columnists, tax dodging billionaires, right-on stand up comedians and out of touch politicians all come in for scathing observations. Each target in skewered with gentle humour. Schlock horror movies run as a theme throughout the book and the page-turning finale has our heroine being pursued by creatures from our darkest dreams. 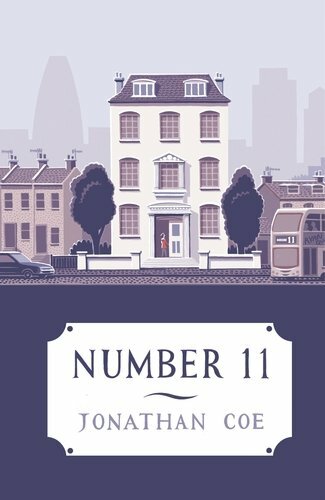 Disclaimer: I was sent a review copy of Number 11 in return for an honest review by NetGalley.